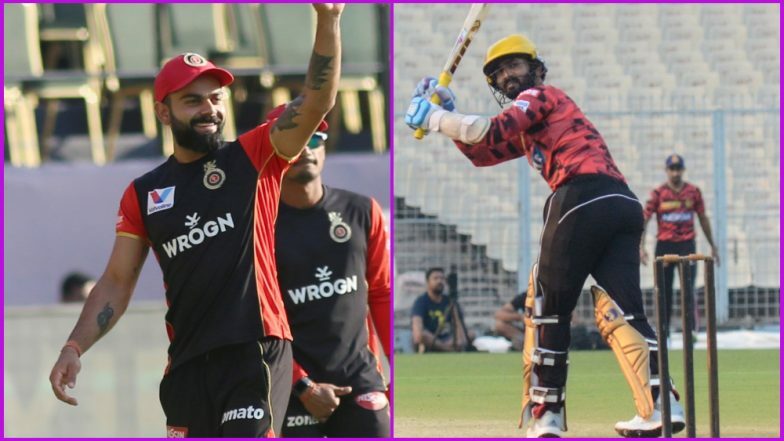 RCB vs KKR Head-to-Head Record: Ahead of IPL 2019 Clash, Here Are Match Results of Last 5 Royal Challengers Bangalore vs Kolkata Knight Riders Encounters! Things are turning grave for the Royal Challengers Bangalore early on in the Indian Premier League as they remain the only side without a win in the tournament. Virat Kohli’s captaincy was questioned prior to the onset of the league and now with this debacle, he has only added more fuel to the fire. They are at home to the talented Kolkata Knight Riders who tasted their first defeat at the hands of Delhi Capitals and would be raring to get back to winning ways. Royal Challengers Bangalore have played Kolkata Knight Riders 23 times winning 9 games while Kolkata has managed 14 wins. So the record does not favour Kohli’ side but surely they cannot afford a fifth straight loss. Let us have a look at their last 5 encounters. Royal Challengers Bangalore vs Kolkata Knight Riders Live Cricket Score. Virat Kohli led the RCB batting unit with an unbeaten 68 helping his team reach a total of 175-4 which is not always a safe score in Bangalore. Chris Lynn showed Bangalore why they twenty odd runs short in the first innings as his 62 helped KKR chase down the target of 176 in 19.1 overs with little trouble. Similar kind of game as the previous one with similar score lines and result as RCB crashed to yet another defeat. Foreign imports Brendon McCullum and AB De Villiers scored 40s helping their team post 176/7. Sunil Narine who was opening the innings for the hosts put in a show with a 19 ball 50, an assault RCB never recovered from losing the game by 4 wickets in the end. RCB vs KKR, IPL 2019 Match 17 Preview: Downbeat Royal Challengers Bangalore Desperate For Win Against Kolkata Knight Riders. Travis Head and Mandeep Singh were the only two batsmen for Bangalore who responded well against a disciplined KKR attack. Their efforts helped Bangalore score 158/6 which was never going to be enough on a Chinnaswamy track. KKR went about the chase in a professional manner with the fifties from openers Chris Lynn and Sunil Narine helping their team win by 6 wickets. A humiliating night for Royal Challengers Bangalore as they were bundled out for 49 in pursuit of 132 set by KKR. The likes of Pavan Negi and Yuzvendra Chahal did their work for Bangalore picking up five wickets between them and not allowing Kolkata to score freely. But a shambolic batting performance from RCB where none of their players reached double figures meant they had a new low point in their not so glorious history. IPL 2019 Points Table Updated: SRH Topples KXIP on Top of Indian Premier League 12 Team Standings Following Win Over DC. Royal Challengers Bangalore chased down 184 for a brilliant win on enemy territory with a fine showing by skipper Virat Kohli who remained not out on 75. He was assisted by Chris Gayle who put on 49 and AB De Villiers who scored an unbeaten 59. Earlier in the day fifties from Gautam Gambhir and Manish Pandey had helped KKR reach 183/5. Kolkata have won four of the last five games played against Bangalore and there is not a better time for the visitors to come up against Virat Kohli’s boys who are horribly short of confidence.